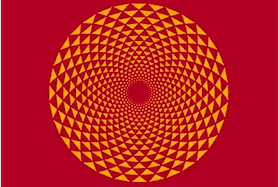 Victoria centers her focus on relaxation as a form of self-healing for her clients. 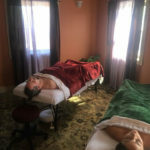 She believes that her massage techniques bring clients into a deeply relaxed state enabling the body and mind to release their aches and pains. Victoria offers a special form of massage call Ashiatsu Barefoot Massage; this is a technique where she delivers deep, broad, consistent pressure while utilizing her feet and body weight. 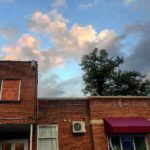 Victoria is also well versed in a variety of other wonderful soothing modalities, including Swedish massage, Shiatsu, Trigger Point Therapy, Reflexology, Polarity & Crystal Healing Energy Work. A session with Victoria will leave you feeling relaxed, uplifted, lighter, and cared for. 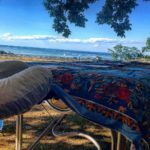 Victoria received her trainings from Finger Lakes School of Massage and the Barefoot Trainer’s Ashiatsu Massage Course. 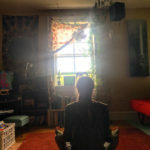 Want to be a featured Practitioner in the Attuned.Life Collective? We would love for you to join us! For more information check out our Offers page. *Must be qualified to practice in the New York Area, must have Liability Insurance and a current registered Massage License in New York if wishing to practice massage. Whether you would like to treat yourself to a relaxing massage, help alleviate anxiety and depression, address a specific area of discomfort, or experience massage for the first time, Mackenzie is excited to work with you! 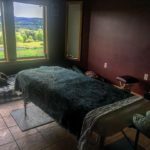 She utilizes hands-on skills and techniques sharpened at the Finger Lakes School of Massage, as well as medical and anatomical knowledge. 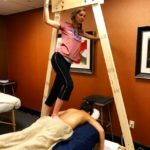 Mackenzie is currently a graduate student studying physical therapy at Ithaca College. She offers a comprehensive and focused massage which emphasizes the client’s individual needs. 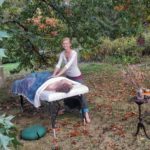 Her methods include a combination of Swedish massage, Neuromuscular Therapy, Connective Tissue Therapy, Shiatsu, and Kinesthetic Awareness through Movement. She is dedicated to learning new skills frequently. Mackenzie anticipates obtaining a Doctorate of Physical Therapy in May 2020 to provide a higher level of treatment. 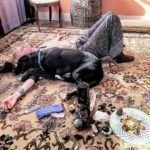 In addition to standard medical procedures, she believes in the importance of a holistic approach to chronic pain, including mindfulness, meditation, yoga, lifestyle adjustments, self-care, and body awareness through touch. She enjoys teaching her clients about their bodies and how they can manage their symptoms. Book a session with Mackenzie today for a comprehensive and customized experience that will leave you feeling restored. 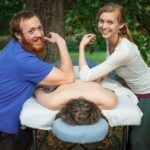 You can find Mackenzie Thursdays from 3-9pm at the Attuned.Life Massage Studio. Wednesdays and Sundays Brian & Victoria work on a Sliding Scale! This means you pay what you can afford.